Based on the combination of two well-known team development models by Bruce Tuckman and Patrick Lencioni, Your Team Assessment is a questionnaire that measures the dynamics of your team and its level of performance. It is an automatic online computer tool available in 3 languages (English, French and Dutch). 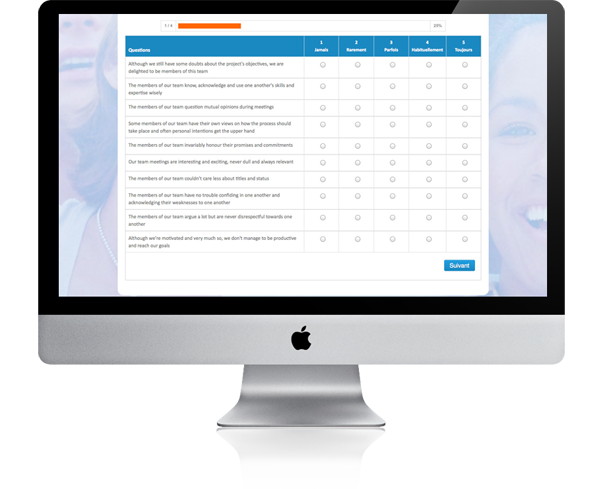 The combined result of the questionnaires completed by all the members of your team draws up the current situation in which your team operates and provides practical ways of improvement. It is suitable for any kind of team (traditional teams, remote teams, project teams…) and for any kind of organization. Would you like your team to be assessed. It is very simple! You can contact one of our registered consultants. 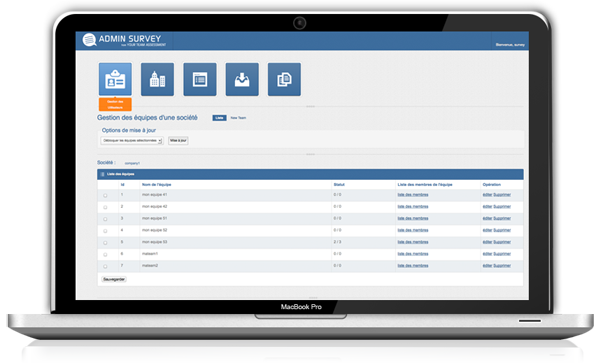 Our registered consultant creates a contact form with the e-mail addresses of all the members of your team. 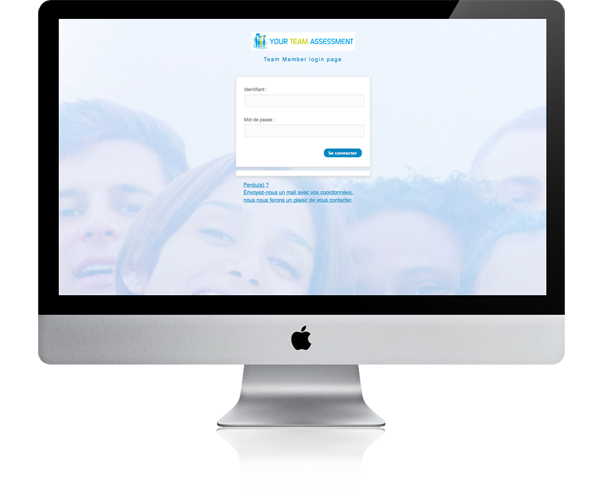 Every member then receives a personal invitation asking him or her to fill in the online questionnaire in full confidentiality (it is impossible to access individual answers). The participant can answer the questionnaire in the language of his or her choice: English, French or Dutch. Your Team Assessment evaluates the performance level of your team based on 35 questions relating to the behaviour of its members. It is the incidence of behaviours chosen on a scale ranging from “never” to “always”, which indicates the current dynamics in which your team evolves. Once the questionnaires are completed, our registered consultant makes an appointment with you to hand you the report.